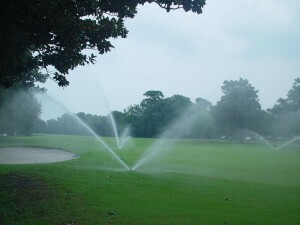 As a Registered Irrigation Contractor, licensed in North Carolina, Norris Landscaping relies on the most advanced and effective irrigation system products. This strategy gives us the ability to offer environmentally sound solutions, while adhering to the most productive water management practices. The end result is an effective and very affordable product for the customer. Rain is often an unpredictable and infrequent weather occurrence. This is especially true during the summer months, when long dry spells, combined with excessive heat can adversely affect your grass, shrubbery, and trees. Sometimes, extended drought periods can cause permanent damage in certain areas. Surrounding areas include: Raleigh, Cary, Chapel Hill, Durham, Apex, Holly Springs, Wake Forest, Knightdale, Garner, Clayton, Benson, Smithfield, and Fuquay-Varina. We encourage you to contact us to discuss your specific needs.